A 20 year Cozumel resident, Nancy immigrated to the island ready to enjoy early retirement. She spent the majority of her time scuba diving and embracing the beautiful, healthy, active lifestyle that Cozumel offers. Nearly one year later she realized she'd like working part time helping others embrace the island as she had done. In early 1996, working for the only real estate franchised company on the island. 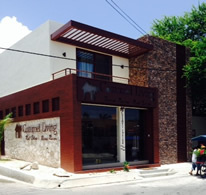 She received valuable training and went on in 2001 to start her own Mexican corporation and Cozumel Living was born. A courageous business woman, Nancy understands the importance of marketing and market research when it comes to selling and buying a home. Driving her strong business and her even stronger relationships are her supreme knowledge of Cozumel's real estate history, market conditions, foreign property ownership, and vast knowledge of local resources. Nancy's joy for making Cozumel home shows in all that she does for her customers. Repeat customers and customer referrals are the pride and majority of her real estate business. Outside of work, Nancy's passions include travel, scuba diving, trying new local cuisine and wine, and of course relaxing on the beach with her family and friends. Her and her staff take great time and effort to positively promote the Cozumel Community through work with filming Shows on HGTV to promote the island. Nancy Murray, in particular, promotes the company by volunteering in holding fund raisers in conjunction with the loval goverment to help the less priviledged and those in need. Nancy Murray moved from Boston to Cozumel to work in one of our local hotels. She married and had a child and moved into real estate. She has worked for Cozumel Living before and is back now that her child is older. We are very fortunate to have such a knowledgable, hardworking agent with the ability to close sales! Jason Toups has been coming to Cozumel since he was 13 years old so he’s very familiar with the island. He is the son of Nancy Edwards, the Cozumel Living Broker. He started working for Cozumel Living over a year ago after studying for his Texas real estate license. A member of AMPI, the Mexican Board of Realtors, Jason has his CONOCER and has submitted his Maticula to be a licensed real estate agent in Mexico. 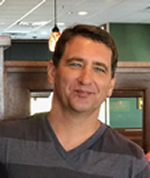 Jason started out with the company working with management/rental properties using his electrical expertise and background from the states. He manages over 2 dozen properties and is working as a real estate agent with the company. Doug came to Cozumel from the Dallas/Fort Worth area having been in mortgage banking. Doug is a golfer and enjoys a good, cold cerveza every opportunity!! Doug is married to our local insurance mogal, Desire Sanroman who can help you with all your insurance needs. represent our brand of service to our clients at the high standard of eithics that the owner of Cozumel Living demands.